To turn captions on when watching a video, move the cursor over the video. A bar should appear at the bottom of the video image. On the right of the bar should be a box with the letters “CC” inside (shown inside a gold circle in the screenshot below). Click on the box. If there is only one option (e.g. English), captions will automatically appear, as shown below. If there is more than one language option (e.g. English and Spanish), then a list of languages will appear. 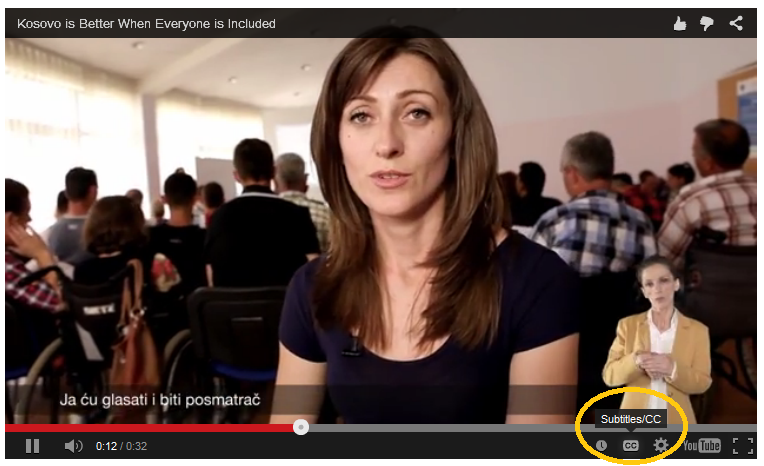 Set the captions to the language of your choice, and then click “On” to continue watching the video with captions. 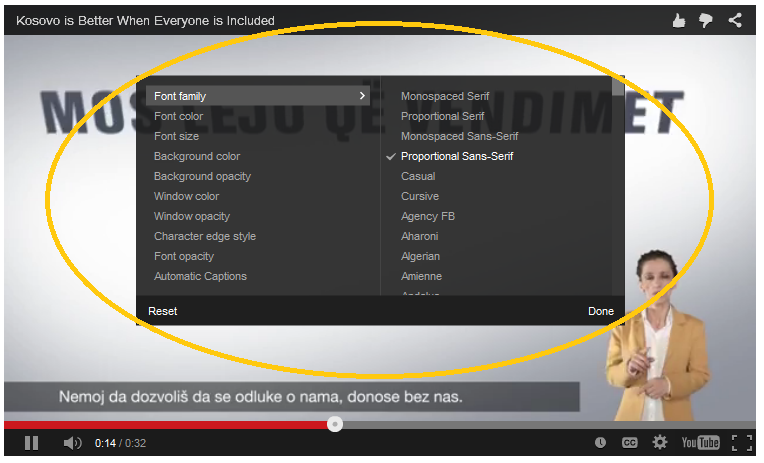 The “options” section in the captions menu allow you to customize the captions by adjusting the font, the font color and size, the background color and size, and other aspects of the captions. To do so, click on the "settings" button in the bar (shown in a gold circle below). As you can see, there is a small menu that includes a place to turn subtitles / closed captions "on" or "off". Next to the bar is the word "Options". From here, you can change any part of the captions that you wish (including font type, color, and size).